There's so much of what could be called "low vibration" on the planet right now — so much negativity in the news cycles, in our newsfeed, in emails and in conversations (or screaming matches) between us. Recent posts by friends on Facebook have been asking what else can they do? They've already donated to causes and campaigns that they wish to support, have brought clothing and toiletries to shelters and immigration centers, voted, marched and called their representatives. And still they feel they haven't done enough. Others have already given up the fight and asked "what difference does it make?" and done little. And most of us, whether we're "fighting the good fight" or have already thrown in the towel, are experiencing overwhelm. A feeling of powerlessness or an over-saturation of negativity, discord or conflict. 1. Love. Many masters throughout the centuries have professed the sublime power of love, and truly it is the only way to assuage the energies of fear and hatred. And, sadly, it's not the choice that most of us are reaching for currently — until now. All the more reason to choose it, yes? When faced with a choice, choose the most loving. And then, after 30+ days of this practice? Reflect on how you feel, perceive and interact with the World. Breathe in all of this new-found love and centeredness. And then? Choose to love for another thirty days. Or a lifetime. A super simple practice, yes? And so we ask you: In what ways can you be more loving for the next 30+ days? What specifically are you willing to do/think/believe/let go of to be a more loving presence on the Planet? Are you willing to do it even if it feels odd, uncomfortable or "wrong" to choose love? We so need you to help us create more opportunities for love in the World — and allow for places for love to flow more freely from you to me, from him to her, from us to them. Are you willing? Yes or Yes? Have you ever vowed to make healthier choices during the holidays, and came up short of your goal? Most of us have 'been there, done that' and then vowed to do better next year. What if there were steps you could take to create a healthier experience for yourself this year? 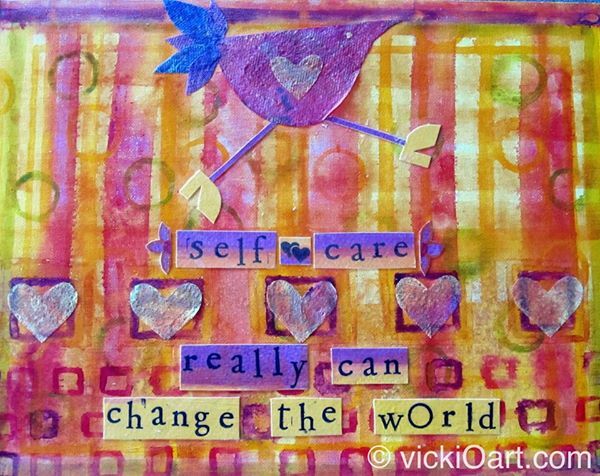 Would you be willing to do things a bit differently to create meaningful, positive changes? Yes or Yes? What if you were to have a plan ahead of time to help you be confident and empowered in your choices over the next few weeks, and beyond? A plan to be more mindful and centered when faced with piles of Christmas cookies and free-flowing fountains of alcohol? 1. Set your intention. This is one that we wrote about last week yet is worth mentioning again. Becoming clear and stating your intention, BEFORE an event where it might be easy to overindulge, is especially powerful when you're working on maintaining or improving your health. What if you were to pause before entering the party or event, and ask yourself: "How am I feeling?" "How much do I want to eat or drink while here?" "How do I want to feel tomorrow morning?" Allow the answers to these questions to guide your decisions. Set the intention to make wiser, more life-affirming choices. And then do it! It can be something simple like: "My intention is to totally enjoy myself, and I can easily do it while eating small portions, having one drink and one small dessert." You don't need to deprive yourself completely, just pre-plan to keep things sane and manageable. Having a clear intention will help you stay the course. 2. Stay away! Standing around the food table or at the bar often leads to temptation, especially when others are easily loading up their plates or announcing "I'll just have one more!" at the bar. It's so easy to follow suit, yes? Until now. What if you chose to walk away and sit in the living room or another area with your food or beverage? To help you achieve your intention, you may need to create a bit of distance. This simple solution is more powerful than it seems. Not only will you not be in the vicinity of the temptations, you'll also be in a quieter environment where you can potentially have more meaningful conversations. Otherwise, with the food or drink immediately in front of you, you're more likely to overindulge. 3. Go small. When there's a choice between a large glass or a smaller one, a large plate or a smaller plate, go small. Choosing the smaller version allows less room for food or drink, and because of your intention, you'll be less likely to keep going back for more. 4. Connect to your 'why' It's great to set goals for ourselves, yes? Yet, often we fail to achieve them if we're not clear about this crucial component. The why. Do you know your why? Why do you want to create change? Why do you want to get fit? Why do you want to get sober, quit smoking, give up meat, eat less sugar? Becoming clear about your why, writing it down and plastering it around your house - in front of your computer, on the bathroom mirror, the refrigerator, in your phone - will help you stay motivated now, and throughout the year. 5. Tell the truth. Tell your friends and the host (and your self!) ahead of time that you're working on creating new habits and are intentionally trying to stay on target, and welcome their support. This way, others will be less likely to offer you a plateful of cookies or circulate around you with a bottle of wine or champagne to "top off your glass." Most of the time, when you tell people that you're working to create positive change, others will come forward to admit that they'd love to do that too. And BAM! Instant rapport, connection and support with other like-minded friends and loved ones. Bonus option: Shut your mouth! Growing up, you were probably told to "chew your food" over and over, right? And did you do it? Well, it's always possible to start today! What if, instead of mindlessly shoveling in your food as if you were in some sort of food consumption race, you take a bite, close your mouth and chew 25 or 30 times? Can you do that? This practice significantly helps with digestion (less gas and bloating!) intensifies flavors, and boosts your feelings of satisfaction or satiety with your food. You'll be less likely to overeat and will feel fuller, faster. That's it! Even if you only practice one or two of these ideas this holiday season, you'll be setting the stage for a much healthier 2018! You'll have tools in your toolbox and will feel better about yourself the morning after - which in turn, creates a setting for additional, positive, life-affirming choices in the future. See how easy that is? >> If you are ready to step into your power and create a healthy life that works on all levels, sign up for our magical, fun and empowering retreat in San Miguel de Allende https://www.sublimeguys.com/copy-of-healthy-retreats-1" target="_blank">"From Overwhelmed to Overjoyed! A Play-full, Soul-full Retreat!" The early bird discount ends midnight on January 1st, 2018. Please share in the comments below other tools that have helped you that may help others stay on target regarding overindulging during the holidays. I've just returned from a sublime weekend retreat in Alabama "Heart Centered Abundant Living." I learned a great deal that will certainly be useful to me on my spiritual path, and there were many lessons from the weekend that I needed to relearn. One lesson that stayed with me was this: there is one super power-full word (truthfully two, but the second word is another blog post) that I've been working with for the past few years, and actually wrote about it in a blog post in late 2013. Trust with a capital 'T'. For many of us, it's so easy ('until now') to fall into the habit of doubting - our selves, our choices, our next move, the world around us. And this doubt can become paralyzing. What if, just for the sake of play (during the retreat I had an opportunity to think about the phrase 'just for the sake of argument' and realized how much I disliked it. 'Just for the sake of play' resonates better with me:) we practiced the art of Trust in our daily lives? Can you Trust that you're exactly where you need to be right now, emotionally, physically, financially and creatively? Can you Trust that the next right action will be revealed to you when you're ready? Can you Trust that, in the words of Max Erhmann, 'whether or not it is clear to you, no doubt that the Universe is unfolding as it should' ? What would your life look like and feel like if you were to consciously give yourself the gift of Trust? Are you willing to try it? And here's what I'd love to know: In what area(s) of your life are you needing to practice more trust? One of my readers wrote that she was letting go of scarcity thinking and her subsequent worries that there isn't enough. Write as many lines as you can, (over the course of days or weeks). And yes, you're welcome to have fun with this! Be silly! Be creative! You have plenty of things, feelings and ideas! The second part is to fully feel that plentitude; let the feeling of having plenty wash over each and every part of your being. You may even wish you carry a rock or talisman with you in your pocket that represents prosperity. Every time you feel, see or think about that rock, bring to mind what you have plenty of. When you shift your thinking from scarcity (fear) to plentitude (love) you can, in the words of Ernest Holmes, change your life. When I awoke early in the morning the day after the presidentail election, I knew that a boat-load of fear, anger and outrage awaited me on social media, the news, in conversations with friends, etc. And I knew immediatley that I needed to do something to buffer those negative vibrations. What could I do to help assuage and soften some of what I anticipated was going to happen in the World? The first and only true answer was to create something positive. Something that could help us funnel our emotions and heal the World. And before even leaving the bed that morning, the International Day of Compassion and Kindness was born. The inaugural date is the same as the inauguration, January 20th. A day of gatherings, chanting, meditation, random acts of kindness and more. If you're called to join us, please do! Ambassadors are needed in your corner of the World. We invite you to 1. help promote the event and 2. facilitate inspired and inspiring activities on January 20th. If you need ideas or support, please let me know. It takes more than a village. It takes a World. Please visit our facebook page https://www.facebook.com/International-Day-of-Compassion-Kindness-1879977965570553/?fref=ts" target="_blank">here. So much of our daily experience involves shifting, moving or transitioning from one place to another. This happens when we're driving, shopping, interacting with others, moving about through the World, etc. There are shifts that happen - we're on one path, pursuing one direction and suddenly (easily?) we move into another direction, someone gets in our way or we have to go around an obstruction. Often we do this without even recognizing it. Many refer to this process as "being in the flow" and allowing this kind of movement makes it easier for us to be actively engaged with the World. So it follows that we could allow our thoughts, beliefs and behaviors to shift at times too, yes? Especially when those beliefs are no longer serving us or may be holding us back from living our truest potential. Can it be that easy? Can we 1) recognize which beliefs or behaviors are holding us back and 2) shift to different, more empowering thoughts and actions? Try this: Pay attention - be witness to what’s not working in your life. Just notice. And then, after some time has passed and you can articulate what’s needing change, allow a few degrees of movement toward the direction you’d like to be going. Small increments of change toward a happier, more peace-filled you. What's needing a shift in your life? This 'call to action' was originally posted in the Law of Attraction group that I facilitate on facebook. I thought that it also made sense to share it here - with you - as well. Call to Action: "Take Care!" For the next few days or weeks, make the most loving, self nurturing choices available. If you believe that our bodies are a vessel, and that our vessel is one of the forms we use to attract the good in our lives, then it follows that the better we treat and love our body - the higher the vibration and the higher good we can attract. When choosing foods, activities, thoughts, etc., aim for the higher choice. We sometimes try to convince ourselves that "I have had a hard day, and I deserve to have (fill in the blank) cheetos, wine, a night to veg in front of the TV..."
What if the opposite was just as true or truer? "I have had a hard day, so I need to be extra loving to my body and spirit" - so a moonlit walk instead of chocolate cake, some organic vegetables instead of another beer, an hour spent in spiritual practice instead of an evening with the remote control? 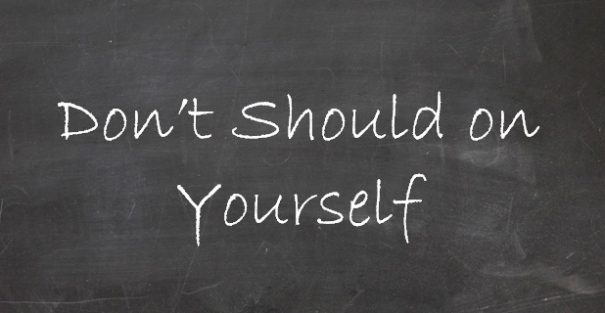 Could these choices serve you - and your World - better over the long run? You betcha. More than a few clients have shown up to my office, looking to completely rid themselves of their fears. 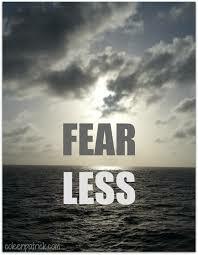 And more than a few quotes and affirmations are out there in the world, encouraging us to be fearless. And while that is a worthy goal, I believe that we can start a bit smaller. To take baby steps. To add a space. A space between fear and less. To simply work toward fearing less. Less than we did yesterday. Less than we did last year. Maybe - just for today - we needn't rid ourselves of our fears 100%. Instead, to shift to a place of having a bit less fear. And a bit less tomorrow. Many years ago when I first moved to San Diego from Delaware, I faced a lot of uncertainty in my life, especially around work and how to earn money. Soon this uncertainty led to a rather unhealthy dose of worry. Which became a constant monkey on my back. I found myself worried all day long, all evening long, losing sleep and developing pains in my stomach. This lasted for nearly a year and a half. When my work life stabilized and I was able to get through to the other side of the worry, I was finally able to get quiet and reflect back on the past 18 months. What I saw changed my life. What could have been a very powerful and joyous time in my life - being single and carefree in San Diego - healthy, exploring options, making friends, trying on new identities and jobs - was instead lost in a world of worry and fear. Immediately I vowed to never again worry about money. This vow soon melded into other areas of my life as I promised to never again worry about anything. Ever. This addiction to worry is so pervasive. It is a muscle that we have been flexing for such a long time most of us don't even notice it's there. Until now. I invite you to watch yourself. Watch yourself without judgement and see how often worry creeps into your daily life. 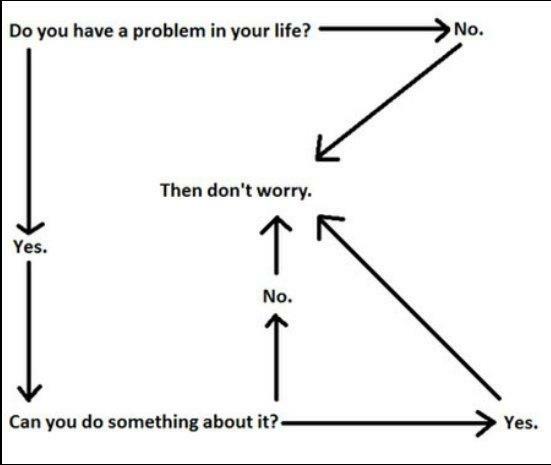 What worries you? Are you able to take a five minute break from worry? Or better yet, if you feel the need to worry, set a timer. 3 minutes. Worry your heart out (there's an expression!) for 3 minutes and then allow yourself to be worry free for the rest of the day. Learn to trust what is going on around you. "You are free to walk through this world without a problem on your mind." Indeed. When I hear it, I ask people to try saying the same sentence again - and change the should to could. "Should creates shame" I say, "whereas could creates choice." "But people should take better care of this and that..." I hear you say. Yes, they could, and sometimes they do. And should-ing someone - including ourselves - into change is nearly almost always met with resistance and feelings of shame. It feels so different to say could. More liberating, more compassionate. And change is so much more likely when it comes from a place of freedom and love.